Gears of War 4 May update is coming on May 2. The latest update brings new features as well as game improvements to the game. The game update also includes Multi-GPU support on Windows 10. Check out full details below. This newly reimagined setting for Security takes you to a fight over a glorious decadent COG depository, with stacks of gold bars providing makeshift cover throughout the map. Defensive lasers bar access to key parts of the map, so prepare for a tough fight for the button that disables the lasers to give your team control over the flow of combat. 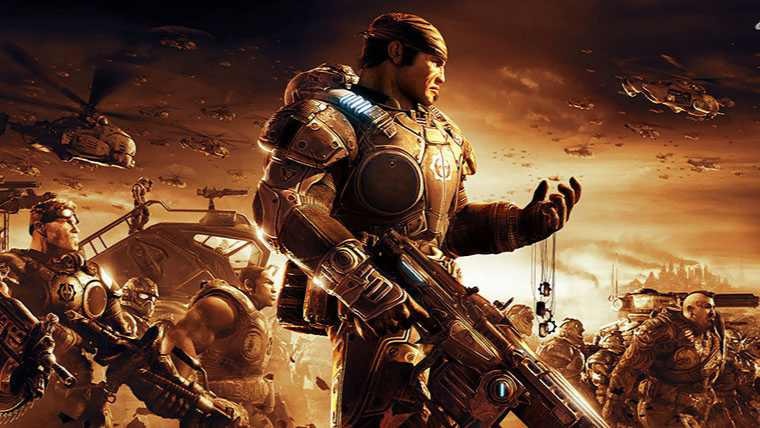 For Gears of War 4, the game team has made a major change to how the lasers work. In King of the Hill and one of the key central rings on Escalation, the security lasers will only block the side entrances to the top sandbags to focus on opening flanks rather than blocking off entire areas. In addition, the lasers are activated in Horde when pressing the button (rather than disabled), offering a short defensive window that kills enemies as they try to run through it. Time your press just right to decimate groups of enemies getting too close to your base! With Gears of War 4 May update Multi-GPU support arrives for Windows 10 players. The users who use multiple graphics card setups, and now fans can take full advantage of their setup to really push the stunning visuals of Gears of War 4. The Gears of War 4 May update will be available tomorrow.